NBA 2K16 is a basketball simulation video game developed published by 2K Sports. 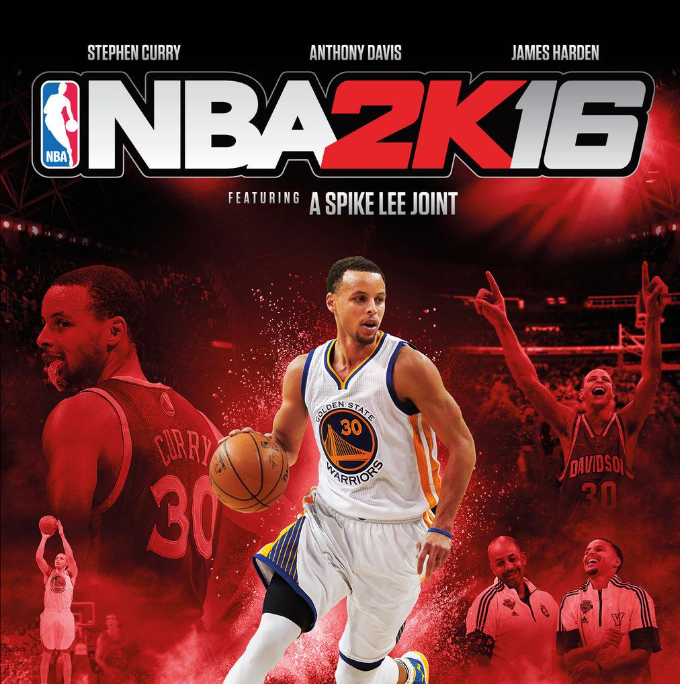 It is the 17th installment in the NBA 2K franchise and the successor to NBA 2K15. It was released on September 29, 2015 for Microsoft Windows, Xbox One, Xbox 360, PlayStation 4, and PlayStation 3. Two fonts have been used in the NBA 2K16 logo: the “NBA” part is very similar to EquipExtended ExtraBold by Dieter Hofrichter, and the “2k16” part was probably designed based on Agency FB Wide Black by David Berlow of Font Bureau.